Carmaker Milan has unveiled its hypercar – said to be one of the fastest in the world – in the UAE. The new generation Milan Red is said to have 1,325 bhp and achieve speeds up to 100 kilometres per hour in just 2.5 seconds. To put that into perspective, this is the same 0-100 time as the Bugatti Veyron which has dominated the hypercar scene for over 10 years. The Red will weigh 1,300kg and has a 6.2 litre quad turbo V8 which allows it to be pushed to 200kph in 5.5 seconds and 0-299kph in just 9.9 seconds. 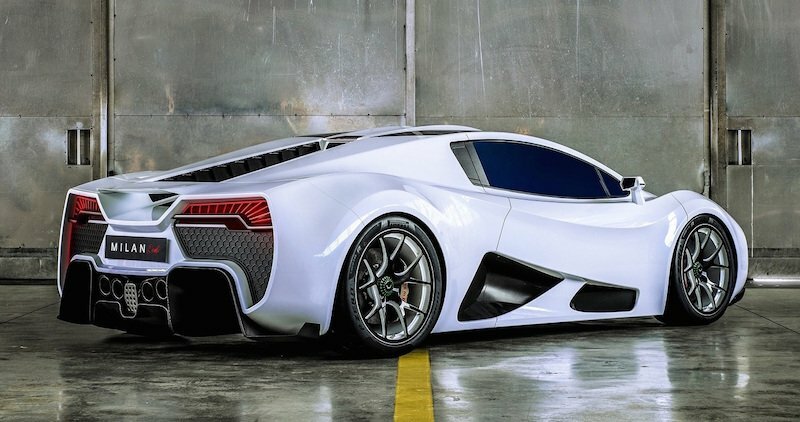 This makes it one of the world’s fastest road legal hypercars. Milan plans to make 99 Red cars, with a reported 18 already reserved. The Milan Red was unveiled at the Deals on Wheels showroom on Sheikh Zayed road in Dubai, giving the dealership exclusive rights to sell this car. A special car will also be on display at the Abu Dhabi F1 Grand Prix. Milan Automotive is an Austrian based car company, which has been crafting this car for a long time. The design of the Milan Red is based on a falcon with deep lines along the car to maximise its aerodynamic capabilities. The rear-wheel-drive hypercar will have a 7 speed dual clutch transmission with Brembo carbon-ceramic front and rear brakes for extra stopping power. The car will ride on 20-inch on the front and 21-inch on the rear forged aluminium wheels. The car is reported to cost around $2m (Dhs7.3m), placing it with the likes of the Bugatti Chiron and the Pagani Huayra.